The classic story of loyalty, trust, and sacrifice comes to life in this live-action adaptation. Fern (Dakota Fanning) is one of only two living beings who sees that Wilbur is a special animal as she raises him, the runt of the litter, into a terrific and radiant pig. As Wilbur moves into a new barn, he begins a second profound friendship with the most unlikely of creatures -- a spider named Charlotte -- and their bond inspires the animals around them to come together as a family. When the word gets out that Wilbur's days are numbered, it seems that only a miracle will save his life. A determined Charlotte -- who sees miracles in the ordinary -- spins words into her web in an effort to convince the farmer that Wilbur is "some pig" and worth saving. E.B. 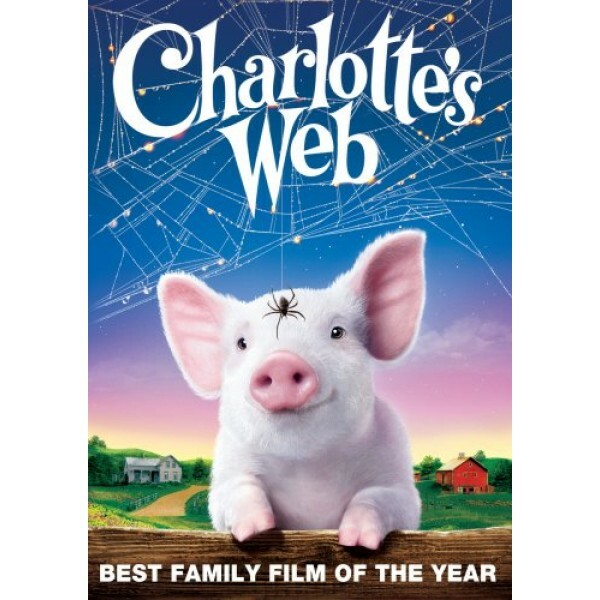 White's classic tale gets a Babe-like makeover in Charlotte's Web, a delightful and well-made film that is sure to become a family classic. Directed by Gary Winick (13 Going on 30), the new version eschews the musical numbers of the 1973 cartoon and mixes CGI with live-action animals. Dakota Fanning brings the right amount of chutzpah to Fern, the young farm girl who rescues a runt, Wilbur, from death and visits him every day at her Uncle Homer's farm. 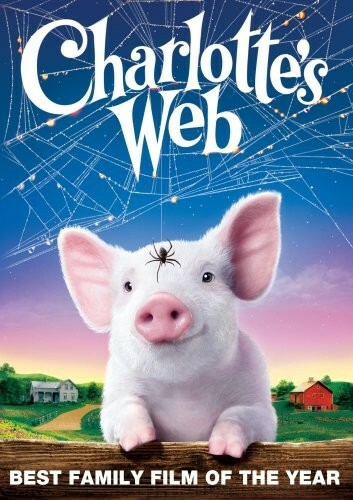 But it's Wilbur's friendship with Charlotte the spider (voiced by Julia Roberts) that ultimately saves him from the "smoke house" (a kid-friendly alternative term to the slaughterhouse), for Charlotte's talent for weaving praiseworthy words about Wilbur into her web turns the Zuckerman farm into a tourist attraction. The more tragic elements of the book are handled sensitively by Winick, working from a script by Susannah Grant (Erin Brockovich), and Roberts' soothing, maternal voice (who knew it would work so well?) makes it all go down easy.